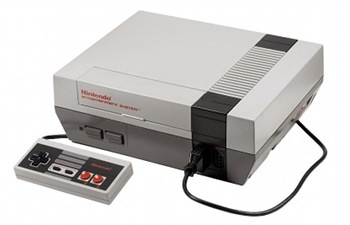 The Nintendo Entertainment System is one of the best consoles ever made. It is a favourite console to collect by retro console collectors and with good reason why. Nintendo had the smart idea to market a console as basically a toy. 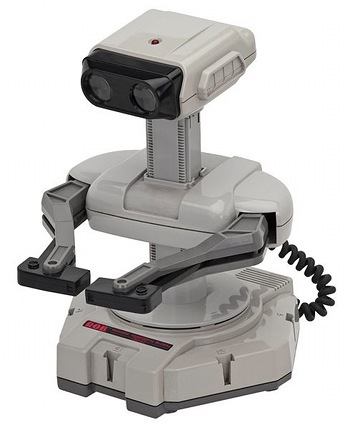 They did this by making a bundle that came with the NES Zapper and of course ROB The Robot. The NES actually is the western version of what Japan calls the Famicom. Nintendo pretty much had the whole industry to themselves at this point and the console was a huge hit. While it was the Zapper and R.O.B. that got the console into the stores. It would be the monster hit that was Super Mario Bros that really made this become a world wide icon. Nintendo changed everything. Many people in the 80â? ?s and even into the 90â? ?s would not ask â? ?do you play video gamesâ? they would ask â? ?do you play Nintendoâ? actually many people still to this day call all video games Nintendo. On many greatest consoles of all time lists the NES comes out on top. This is not just down to nostalgia either as many great gaming franchises started on this console. And lets not forget it was the NES that brought the video game industry out of the crash of 83. While it is far from the first video game console ever made. Very few could argue the point that the NES is the most important video game console ever made. The look of the NES was unlike any other video game console and this was done on purpose. Nintendo knew that a new game console would not be wanted by retailers. So they designed the NES very differently to the consoles that came before it. It actually resembles a toy VCR. It is a grey box with a nice black stripe and of course that iconic red Nintendo logo on the cartridge slot. The cartridge slot on the NES is a front loading mechanism. This is an iconic feature of the console and it can be a real pain for many gamers. You are not a real gamer unless you have blown into a NES cartridge to get it to work. Overall the look of this console is the definition of classic. The classic box design is one that will always be fondly remembered for as long as gaming is around. The controller was an absolute game changer. They were just like the controllers on the Japanese Famicom, but they felt a little thicker and chunkier. Once you had played a game using a NES controller it really was hard to go back to using a regular joystick. Speaking of controllers, the amount of peripherals for the NES is absolutely insane. There is no way I could list them all as that would be another 1000 word article. But the most notable ones are probably the NES Advantage which was an arcade stick that had turbo buttons. This thing was a beast, but it is probably the best arcade stick for the console. As well as this there was a NES MAX; this was a turbo controller that has somewhat split decisions on whether or not it is good by the gaming community. Of course, we have the famous Power Glove. Which let you control games using motions. These are just tiny samples of what this console had in terms of its peripherals. The main reason though above all else as to why the NES was so successful is because of the games. Mario Bros, Zelda, Metroid, Castlevania, Kid Icarus, Donkey Kong, Contra, Final Fantasy and many more games were all on the NES. As well as this, pretty much every single movie, TV and toy license that was under the sun had a game released on the NES. In all there are over 800 games for this system. The games were the pinnacle of 2D gaming and many of them still hold up well to this day. Every single gaming genre is covered on the NES. It has arguably one of the strongest video game libraries of any game console. The NES is actually very easy to collect for. There are some really expensive games, but for the most part you can put together a decent NES collection on a fairly modest budget. Getting games boxed with manuals can be very expensive and as the boxes were made of cardboard getting them in great shape is going to cost you some serious money. But if it is just the games you are after then the NES is a great system to collect for. In all the NES is more than just a game console, it is a classic icon and it will still be fondly remembered many years from now.